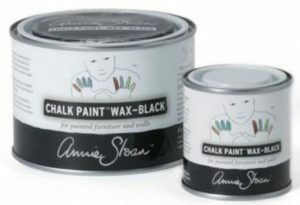 Aubusson Blue Chalk Paint®, Graphite Wash and Black Wax…Ooh La La! WOWZA! Yes, that is right. 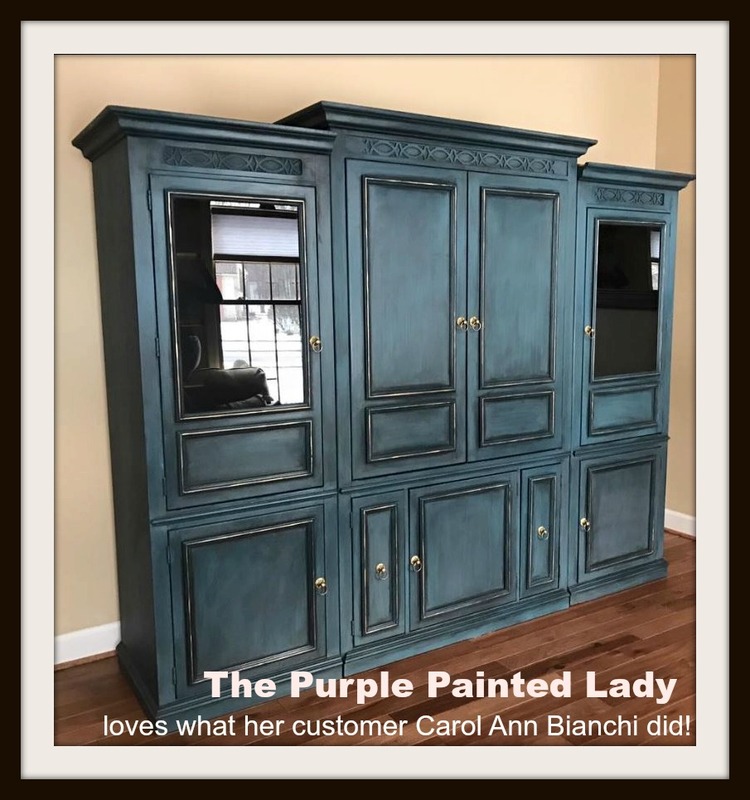 That is all I (me…Trish…The Purple Painted Lady) thinks when I see this piece completed by our customer Carol Ann Bianchi who is from Rochester, NY! 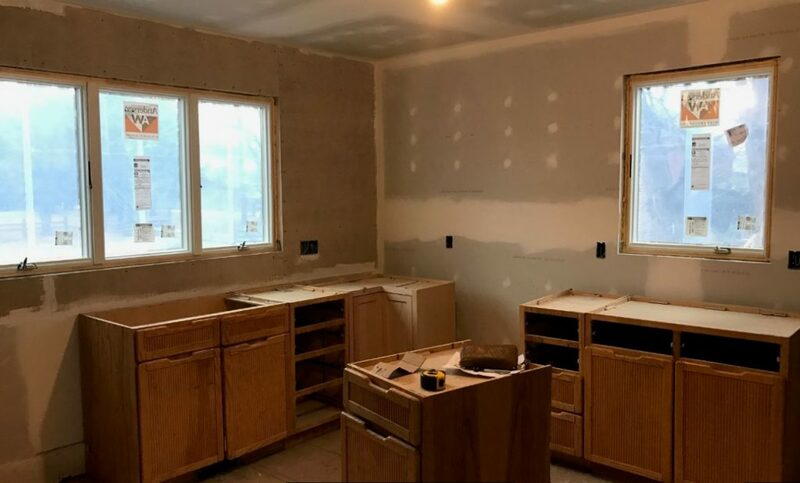 Seriously, what a change from the BEFORE photo! 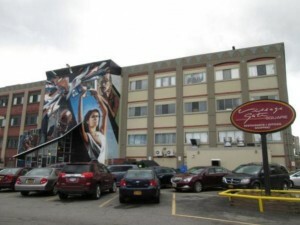 Carol Ann wrote, “This was a beast, but I’m thrilled with the outcome. 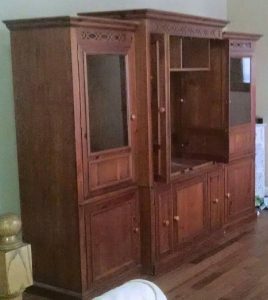 I bought this whole entertainment center at Salvation Army for $79! It’s a Broyhill and solid! 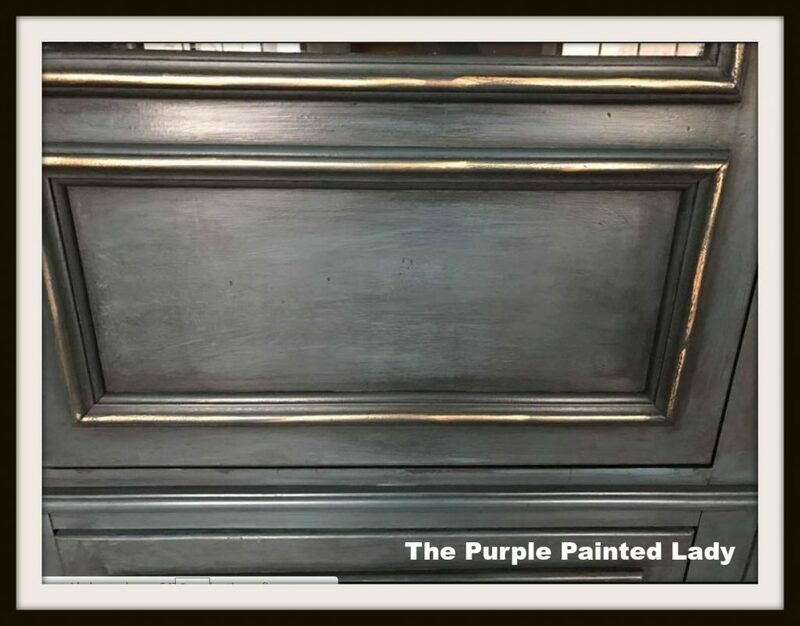 Two coats of Aubusson Blue Chalk Paint®, (followed with a) Graphite wash, Annie Sloan’s clear wax, and then black wax around the raised areas. Gold gilding wax to finish it off! I used one and a half quarts of Aubusson but used almost two full quarts of the Graphite to paint the inside and do the wash on the outside. The inside was a lot of work. Aubusson Blue is very popular color! 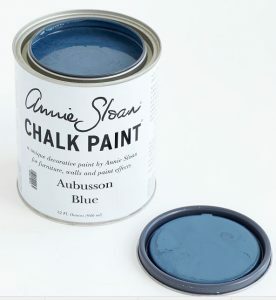 Annie Sloan’s Aubusson Blue is named and designed after the beautiful deep grey blue found on the classic 18th and 19th century Aubusson rugs from France. It is an elegant color that works well with many colors as it is a dark neutral but in particular it works with Paris Grey. It is also a color found in Scandinavian painted furniture. Once done with the wash, Carol Ann used Annie Sloan’s Clear wax. 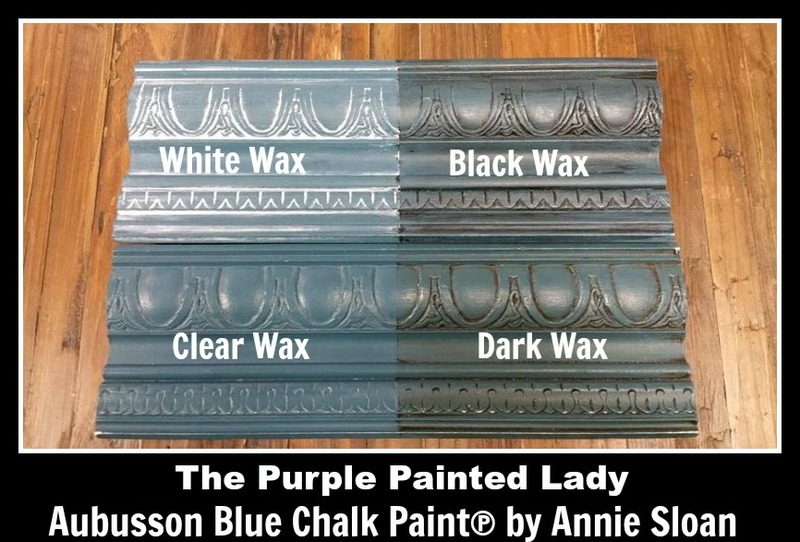 After removing the excess of the clear wax, Carol Ann finished with Annie Sloan’s Black wax…making sure to let some catch and stay in the crevices and grooves. 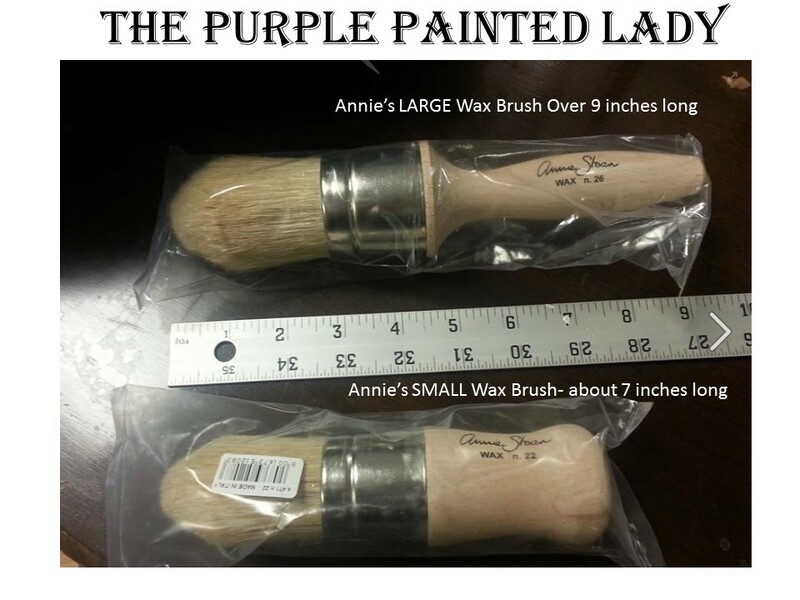 Annie’s Wax Brushes are wonderful for applying wax. 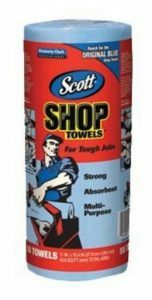 And don’t forget to pick up a roll of Scott Shop towels. They are lint free and really helpful and sometimes, you just run out of t-shirts to cut up! And the cherry on top, was the thin accent of gold gilding that Carol Ann delicately placed to highlight some of the entertainment centers architecture. 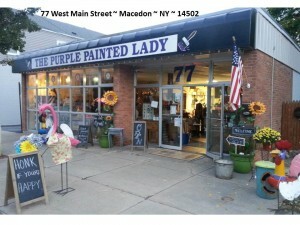 GILDING: The Purple Painted Lady sells gilding in all metallic colors at her shops and on her on-line store HERE. Gilding waxes are easy and fun to use. They add a little sparkle to any project, humble or grand. You can use a small brush but personally I prefer using my finger to apply the waxes. There is something about the way your finger can just glide across the surface of a bead or relief that looks natural and authentic. Gilding waxes are the closest thing to the look of real gold leaf but are infinitely easier to apply and come in stunningly beautiful colors. By dipping a small 1″ or 2″ brush into mineral spirits wiping the excess on a paper towel, then dipping into the wax you can create a beautiful metallic glaze for your entire piece. Like all wax, the gilding waxes clean up with mineral spirits. If you get a bit in an unwanted spot simply saturate a cotton swab with a dab of mineral spirits and wipe the area clean. 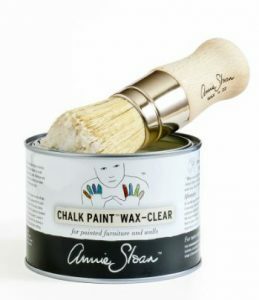 OR- I PREFER to use a little of Annie’s Clear Wax on a rag and wipe off the extra gilding- this works like a charm! 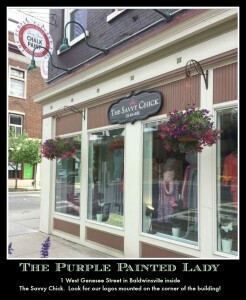 The Purple Painted Lady® INC was thrilled to see this transformation by Carol Ann! 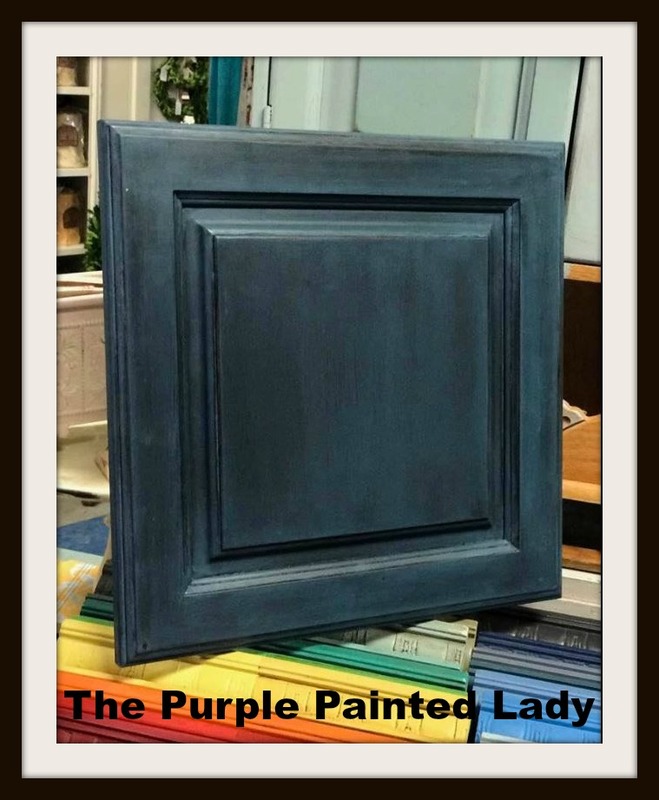 In fact, this color combination is something we are going to be doing in a home that is part of the property we host our annual art festival on and that Annie Sloan herself, will be staying in when she attends the 2018 Festival! Since Carol Ann did a wash on the entertainment center, I thought it would be helpful to include some suggestions, tips, tricks and caveats about doing a wash. Try this “wash” effect OR experiment with other color combinations like Duck Egg over Old White….or French Linen over Graphite, Provence over Old Ochre OR just Old White “washed” over natural wood! There are no rules- but I hope the following helpful hints make this project idea more do-able for you! Please keep in mind the following…. 1. Always note the water to paint ratio in case you do not make enough to finish the whole project. (can I stress this any more? But I learned my lesson once and ended up goofing up a piece over this simple rule! Learn from my mistake!) 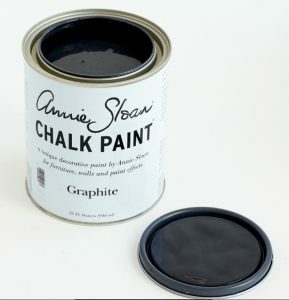 Often a 1:1 ratio of paint to water is used. 2. Never add the water directly to your actual quart of paint. If you mistakenly add too much, you are past the point of no return and the only solution is to buy more paint to offset too much water. 3. Brush on the wash in strategic brush strokes–meaning keep your lines straight and clean, not circular. 5. Put a drop cloth down if doing this in your home…you will drip some on the floor. 7. WIPE OFF STRATEGICALLY. Apply wash in small sections and wipe off – then move on to the next section. During the wiping off process- be careful to not have “rag blotch marks.” Start at the top and wipe off in clean, even pressured strokes all the way to the opposite side. Do not stop half way or go against the direction you want the streaks in. Never go in circles with the rag. If your rag becomes too saturated- get a new one. 8. I used a chip brush to apply- I like the streaky effect from the bristles. 9. Plan twice, “wash” once. Meaning- know your piece and your plan on how you are going to approach the project…top first, then sides. Ithink starting at the top and working down to the floor is best. 10. If you are just trying a wash for the first time – it is best to do this on a piece that is smooth across. Meaning- not raised panels, or with a lot of carved details. 11. Always wipe off your wash in the direction of the brush strokes. Never do it in circles- it will look a mess. 12. Never place your rag down in the middle of a wash. Gently wipe from one direction to the other- otherwise you run the risk of leaving an imprint of the rag in the middle of your painted surface. 13. If you get a wash in a spot that you did not want…don’t fret. Let it dry- then gently sand it off using some 400 grit sandpaper. 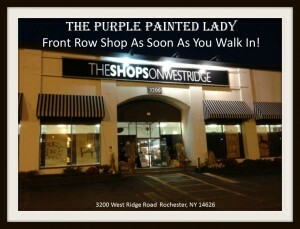 This entry was posted in Annie Sloan, How To, Projects and tagged aubusson, carol ann bianchi, wash by Tricia. Bookmark the permalink.